Ebola hits home with the first diagnosed case in the United States. Are we ready? 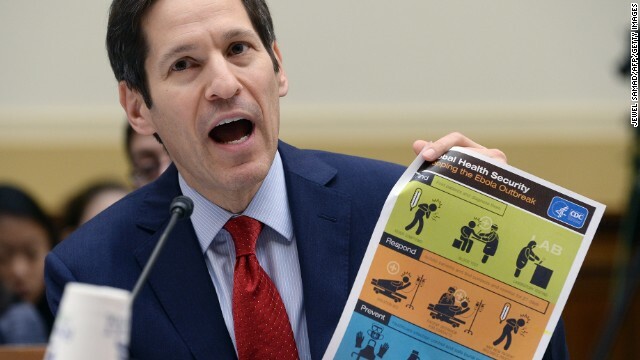 A conversation with CDC Director Dr. Tom Frieden and Dr. William Frohna, the Chair of the Emergency Medicine department at MedStar Washington Hospital Center about preventing an outbreak in the U.S.
Plus, did the U.S. miss the growing threat of ISIS? The President says the intelligence community is to blame, but a former Secretary of Defense points to the troop withdrawal in Iraq. We’ll talk to two members of the Armed Services Committee – Sen. Lindsey Graham (R-SC) and Sen. Jack Reed (D-RI). Then, hail to the chiefs. Four former White House chiefs of staff on how the Obama administration is dealing with crises – from Ebola and ISIS to the Secret Service – in its twilight years. Bill Daley, Andrew Card, Mack McLarty and Ken Duberstein join us. State of the Union with Candy Crowley airs Sunday at 9am and Noon ET.